Harassed By A Debt Collector? We Can Help. Debt collectors cannot lie to you, mislead you, or make false statements to you. They must be truthful. Debt collectors have to be fair to you. That means no calls to employers, neighbors, family or friends. Collectors have to treat you with dignity and respect. No yelling, insulting, or abuse. It’s all illegal. If you have suffered from any of these abusive bill collection practices, you may be entitled to compensation. We can help any consumer who is currently in collections, or has suffered from collection harassment. Call us today to speak with an attorney about your collection harassment case. How do you get paid your fees? We work on a contingency. On FDCPA debt collection cases, there is no fee if there is no recovery. We advance all your costs which will only be repaid if there’s a recovery for you. We don’t take on cases that we don’t think we can win. We want to make things right for you and with more than 25 years of combined federal litigation experience, you can be assured we’ll do our very best legal work for you. Every case is different. Some settle quickly, some last for a longer. Generally speaking, one year from filing-to-finish is a good estimate for how long an FDCPA case takes in the Federal Court. It depends on what evidence is needed in your case and whether or not we need more evidence against a collector. What can I do to make my case successful? Immediately document every communication you have with any debt collector, whether by letter, by phone or by message. Make detailed notes of any conversations you have with a debt collector during the conversation. Keep this log next to your phone. SAVE every single voice mail, answering machine message, collection letter, and paper message. Don’t throw anything away, including the envelopes that the collection letters come in or anything included with the collection letter. Here’s a handy Collection Communications Log that will help. Save all phone messages and voice mails- this is very important! As a consumer, you are entitled to file a lawsuit against any debt collector who violates your rights under the FDCPA. In short, the FDCPA allows a consumer to recover their actual damages, statutory damages of up to $1,000 and their attorney’s fees and costs. Debt collectors who violate the law have a lot at stake: Increased insurance rates, decreased collection rates, potential governmental regulatory action, and the spiraling costs of defending a lawsuit for their illegal conduct. The deck is stacked against consumers with sophisticated debt collection tactics. As a consumer, you should not hesitate to shield yourself from these sharp practices and exercise your rights under the FDCPA. Our law firm has the experience, resources and ability to to zealously represent you in your FDCPA action against any debt collector. We file federal civil lawsuits against debt collectors who violate any state or federal law. The FDCPA prohibits any collection efforts that violates any law. That means that amongst other things, a collector must tell the truth, be respectful to you, and cease communicating with you when you have a lawyer. Our firm can and will make illegal collection activity stop dead in its tracks. Consumers. Any person who owes or is alleged to owe a consumer debt. Debt Collectors. According to the FDCPA, a debt collector is any person, other than the creditor, who regularly collects debts owed to others and includes attorneys who regularly collect debts. Consumer Debts. Any debt that is primarily for personal, family, or household purposes are covered under the FDCPA. Business and commercial debts are not covered. Alimony, child support, criminal fines, and tort claims are generally not considered debts within the meaning of the FDCPA. Communications Generally. A debt collector may communicate with you by mail, in person, by telephone or telegram. A debt collector cannot contact you at times or in places that they know are inconvenient to you, such as at work if your employer does not permit it or during daytime sleep hours if you work nights. A debt collector cannot contact you before 8 a.m. or after 9 p.m. Stopping Communications. If you send a written request to a debt collector demanding that they stop contacting you, the debt collector must stop contact immediately, but they may send one last communication to you advising you that they intend to take a specific action against you including filing a lawsuit. Attorney Representation. If you are represented by an attorney concerning a consumer debt (e.g., a consumer rights attorney such as our office, a bankruptcy attorney, or a family attorney), the debt collector cannot communicate directly with you except through your lawyer. Contacting Others. A debt collector cannot contact any third party about your debt. This means that they cannot call you sister-in-law, your grandson, or your neighbor about the debt. Debt collectors are not allowed to tell anyone but you and your attorney that you owe anyone else money. Locating You. A debt collector has a right to contact other people once, and only once, in an effort to locate you. Debt collectors are not permitted to ask neighbors to bring you phone messages, ask you to come across the street for a phone call, or tell other people that they are attempting to collect a debt from you. A statement that unless you, within thirty days after receipt of the notice, dispute the validity of the debt, or any portion of it, the debt will be assumed to be valid by the debt collector. A statement that if you notify the debt collector in writing within the thirty-day period that the debt, or any portion thereof, is disputed, the debt collector will obtain verification of the debt or a copy of a judgment against you and a copy of such verification or judgment will be mailed to the consumer by the debt collector. Finally, a statement that the communication is from a debt collector attempting to collect a debt and that any information obtained will be used for that purpose. Every debt collector who tries to collect your debt must provide their own 30-day validation notice, even if a previous debt collector has already given such notice. Rights While Debt Under Dispute. 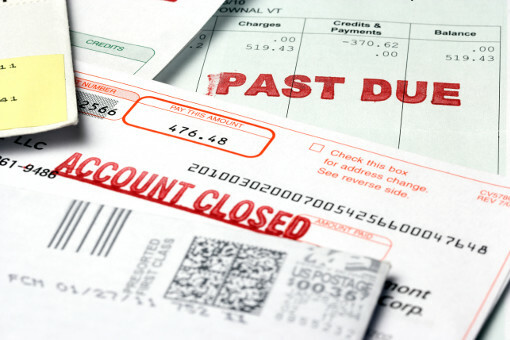 If you dispute a debt in writing within the 30-day validation period, a debt collector cannot continue to collect on the debt until they have sent you proof of the debt or a copy of the judgment. Advertise your debt or publish a list of consumers who refuse to pay their debts, except to a credit bureaus. Repeatedly use the telephone to annoy someone or ring the telephone constantly. Call people without identifying themselves. Falsely implying that they are an attorney or government representative. Falsely implying that you have committed a crime by not paying a debt. Falsely represent that they operate or work for a credit bureau. Misrepresent the character, amount, or legal status of the debt. Indicate that papers being sent are legal papers when they are not. Indicate that papers being sent are not legal papers when they are. They will seize, garnish, attach, or sell your property or wages, unless the collection agency or the creditor intends to do so and they have the right to do so. Take any actions against you which are illegal. Violate any law in an effort to collect a debt. Send you anything that looks like an official document from a court or government agency when it is not. Give false credit information about you to anyone. Use a fake or false name, unless that name is allowed by state law and properly registered with the state, if required. Collect any amount greater than your debt, unless allowed by law. Deposit a post-dated check more than 5 days before the date on the check, without giving you notice of when they intend to deposit it. Solicit a post-dated in order threaten criminal prosecution or threaten to cash the check early. Take or threaten to take your property unless this can be done legally, including wrongfully repossessing your vehicle. Payments on Multiple Debts. A debt collector must apply you payments on multiple debts in the order you direct. A debt collector is prohibited from applying any payments you send in to debts that you believe you do not owe. The law says that any debt collector who violates your rights may be made to pay you statutory damages of up to $1,000, actual damages, and attorney’s fees and costs, if you win your FDCPA case. If we agree to represent you in an FDCPA case, you won’t pay any attorney’s fees unless we recover on your behalf. You may be responsible for any other costs in your lawsuit. You have the right to sue a debt collector within one year from the date you believe the FDCPA was violated. This is what our law firm does. If you do not bring you lawsuit within one year of the violation, your claim will be forever barred by a statute of limitations. If you win your lawsuit, you may recover money for the damage you suffered, statutory damages of up to $1,000 plus court costs and your attorney’s fees. We end collection harassment. We are a consumer rights law firm dedicated to the protection of consumers against abusive and illegal collection practices by debt collectors. If you have been subjected to collection harassment, calls to the workplace, or other abuse, call us today. This is not bankruptcy. We sue debt collectors. You have a right to sue debt collectors who harass you and recover money for your damages. There is no fee if there is no recovery. Debt collectors must treat you with truth, fairness, dignity, and respect. Period. Any debt collector who crosses the line and abuses you can be sued for damages under the Fair Debt Collection Practices Act (FDCPA). · Know what city and state the calls are coming from, and or what city and state you're returning a call to. If you cannot determine the physical location of the collection calls, then DO NOT RECORD THEM. · If you cannot record, simply use your recorder to make a diary immediately after the call of what was said during the call. Be sure to note the date and time of the call at the beginning of your diary entry. · Voice-mails and answering machine messages left for you may always be recorded. This is a another great use of a digital recorder and will allow you to preserve critical evidence in your case. · Generally speaking, it makes no difference that your state allows recording if the other state the collector is in prohibits it. Always make sure both states allow it. This information is deemed reliable but not guaranteed. Do your own legal research before making recordings of any communications over which not all of the parties have consented. · It is a federal crime to record any conversation when you are not a party to it. This is known as wiretapping and the civil and criminal penalties for this conduct are huge. Don't ever do it. · Click here to go to www.rcfp.org and read "Can We Tape? - A Practical Guide to Taping Phone Calls and In-Person Conversations in the 50 States and D.C." This is an excellent guide to current state laws regarding the recording of collection calls throughout the United States. Always verify this information with a competent attorney before you record, though. We recommend the new Sony digital recorder for recording collection calls. It's awesome and it instantly records directly to MP3 files. It is Mac and PC compatible. Sony Digital Voice Recorder. Model numbers vary, but be sure to get one with a USB hot-shoe port so that you can easily download the recordings to your computer. Sony Digital Recorder with USB (USB is an absolute must) available on Amazon for about $58. You'll need a microphone for the recorder. We recommend the Olympus Mini Telephone Recording Device. It works with absolutely any phone, including all types of cell phones. This is the in-ear microphone tap which plugs into the Sony digital recorder. The recording device resembles an earpiece and is worn in-ear. Trust us, it works great! Model: TP-8 or later. Olympus T-8 Earpiece Microphone Available on Amazon for about $14.